Following wood watch 01 collection, Grovemade has released its latest wooden analog watch 02. Using a classic dial and natural materials, the watch series delivers a fashionable way to show you time on your wrist. The wooden watch 02 series contains three models based on different colors and wood materials including walnut, maple and a model with golden finish. As we can see from the images, the watch shows off a classic rounded watch design, and the exquisite CNC-milled three dimensional wooden dial face and a stainless steel case bring an eye-catching combination of natural aesthetics and modern design. 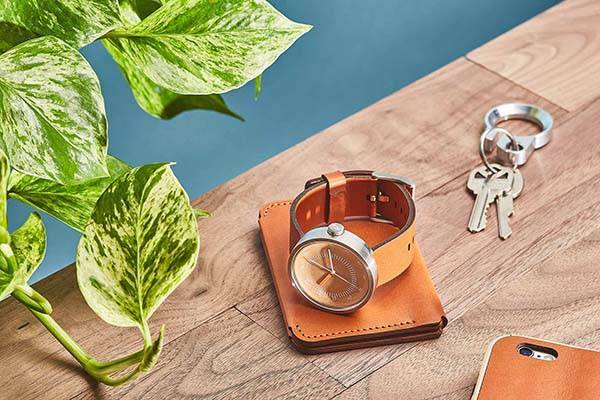 Meanwhile, the analog watch comes with a laser cut vegetable-tanned leather strap that perfectly pairs with the watch case for improved classic fashion. The watch case measures 1.58″ diameter by 0.39″ thick, and the unisex design and adjustable leather strap allow it to fit for every wearer. Moreover, the exquisitely designed hands and wooden dial deliver a bright color contrast for a balance of elegant design and easy viewing. 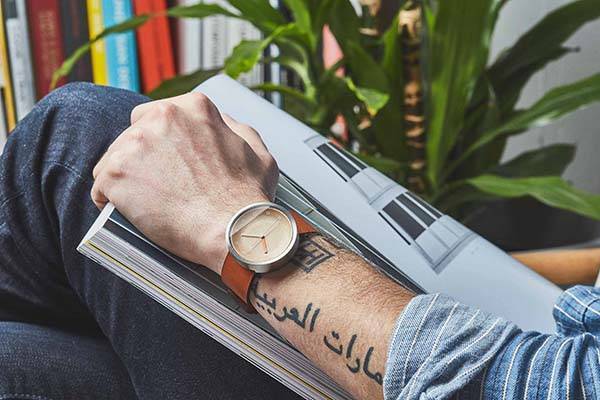 The wooden analog watch is priced at $149 USD, and the model with golden finish costs $199 USD. If you’re interested, jump to Grovemade online store for its more details. BTW, don’t miss the beautifully designed smartwatch and more related gadgets by following tags.